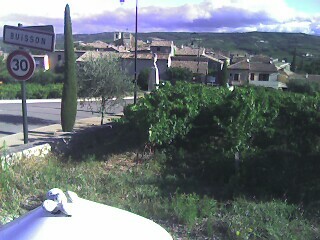 This is the little village nearest our chez. I've been running each morning in this glorious countryside, but when I saw this view (which the photo hardly does justice) I cut my run short to go back for my Treo. The snails in the foreground seem to have been painted over when the traffic cone was retouched.